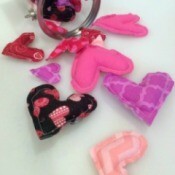 Valentine's Day tips, traditions, recipes and crafts. Save money with gift ideas, photos and other advice. Bucket of HeartsThis container of cheerful fabric hearts is sure to bring a smile to your valentine. Learn how to make it in this short video. 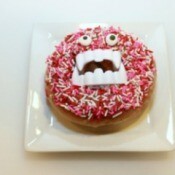 Doughnut Love MonstersDecorate regular donuts with vampire teeth to make these cute monsters. Learn how to make them in this short video. 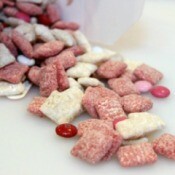 "Puppy Love" Puppy ChowThis delicious Valentine's Puppy Chow (also known as Muddy Buddies) makes a great gift for you sweetheart. 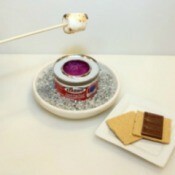 Learn how to make this recipe in this short video. Valentine S'mores BouquetIf you are looking for a unique Valentine's Day gift idea, check out this sweet chocolaty treat. Learn how to make it in this short video. 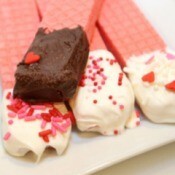 Chocolate Dipped Wafer CookiesThis is a fun way to fancy up store bought cookies. Bring these to your next potluck and they are sure to be a hit. 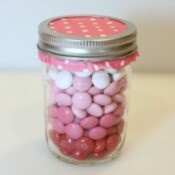 Ombre M & Ms Candy JarThis is a simple gift to make for someone special. See how we made this ombre m&m's candy jar in this short video. 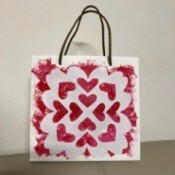 Valentine's Day Decorated Gift BagYou can easily redesign a shopping bag into a Valentine's Day themed gift bag. You will need simple supplies that you probably already have at home! 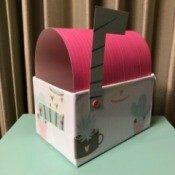 Recycled Cardboard Box Valentine's Day MailboxDo you have any cardboard boxes laying around? They'll be perfect for a Valentine's Day mailbox project. 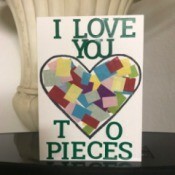 "I Love You To Pieces" Valentine's Day CardThis is a cute and inexpensive Valentines' Day card you can make for your spouse, significant other, boyfriend/girlfriend, etc. Recycled Paper Rolls as Heart StampsI want to show you how you can take those household paper rolls, and turn them into stamps. This is fun for the whole family to get involved in. It is perfect for those rainy days and is very crafty! Create wrapping paper or a fabric table cover. 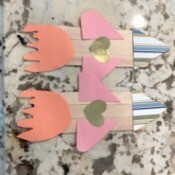 Rocketship Valentine's Day GiftsMy toddler and I made Valentine's Day rocket-ship gifts for his classmates. The school doesn't allow candies or sweets, so we thought this would be fun to make and give. 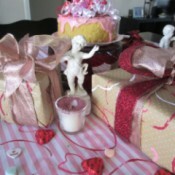 Valentine Craft and Decorating IdeasI need ideas for decorating at a Valentine's party as well as ideas for small gifts. Long Distance Relationships and...My boyfriend and I have been in a long distance relationship for almost 2 and a a half years. I need ideas for what to do/get him! We're both juniors in high school and I just want to do something really cute or something. Inexpensive Unique Valentine's Day IdeasAfter being married for 11 years, I am running out of creative ideas for Valentine's day. 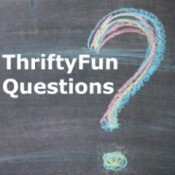 I'd love to hear some inexpensive unique ideas. Valentine's Day Gift Ideas for BoyfriendMy 54 year old bf doesn't have any interest in sports and doesn't like to wear cologne, so it is so hard to buy him anything. Does anyone have an idea what I could buy this man? Valentine Sayings for Decorating CandyI have a large bag of candy that I want to use when making Valentine's for my grandchildren. Where can I find simple sayings that can be typed, then taped to the candy? Valentine Ideas for a Long Distance RelationshipI was introduced to this girl through a common friend last Christmas. I have been communicating with her via text messages for about a month now and it has been going good, but I would like to move to the next level.